Colour-match crack injection mortar for filling fissures in Yellow limestone. 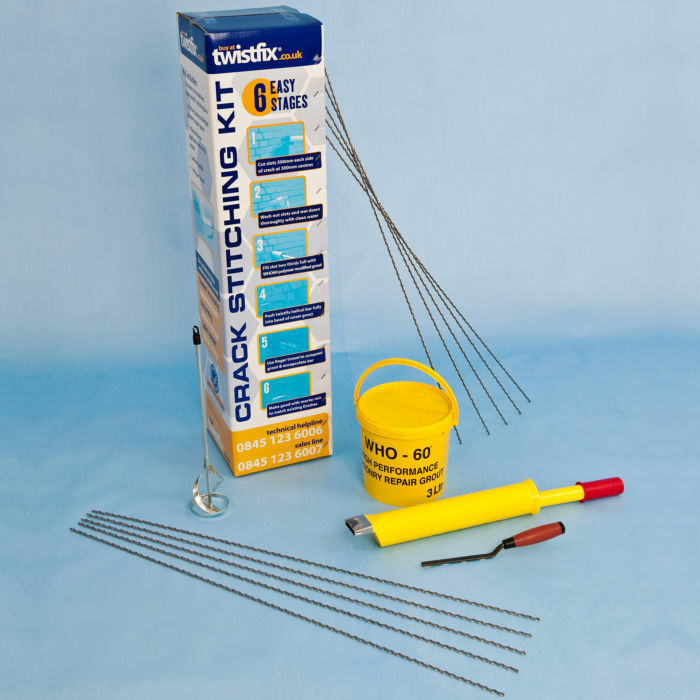 Use with syringe and nozzle to completely injection-fill and seal 3-10mm wide cracks with this lime-based coloured repair mortar, which offers excellent adhesive charac­te­ristics. Masonry should be dampened but not saturated. Fill crack with Ham-stone Yellow crack injection mortar. This crack injection mortar contains natural pigments to match a typical Hamstone Yellow masonry. It has been formulated especially as an adhesive filler for repairing and disguising cracks in limestone walls – Sold in 250g packs, this product yields 175ml of mixed injection mortar. Syringe and nozzle included.